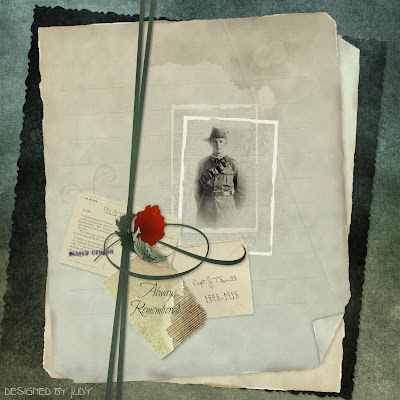 A Scrapkit to honour those who served their country in various conflicts. That is so lovely. Clearly you put a lot of heart into putting it together. Thank you. 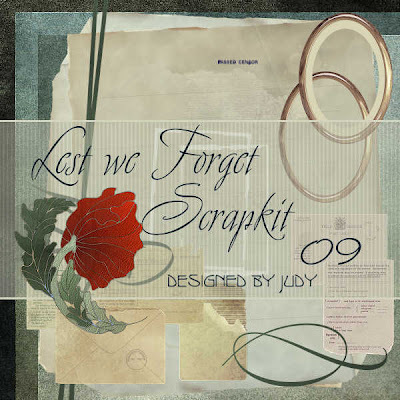 Judy, I love the tone of your remembrance kits. As always, thank you for sharing! This is as ever stunning.... as was your kit last year. THANKYOU ! Thank you for this amazing kit! I just love it. 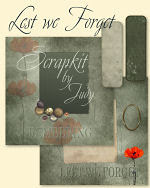 I picked up both your Remembrance Day kits and made a couple of awesome pages. (You can see them at alison.hottub.ca/share/RD.zip) Thank you!